DURHAM, NC -- Durham police have arrested a suspect in the armed robbery of the Family Dollar at 900 Bacon St. during the weekend. 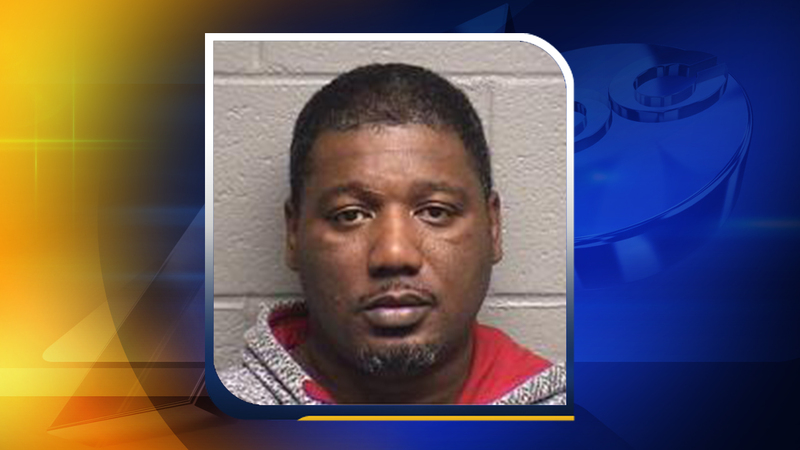 Anthony L. Harris, Jr., 41, of Durham has been arrested and charged with robbery with a dangerous weapon, police said Tuesday. He was placed in Durham County Jail under a $100,000 bond. Durham police are trying to identify a man who robbed the Family Dollar at 900 Bacon Street on Sunday. Police said a man entered the store shortly after 3:30 p.m., Sunday, took a drink to the checkout counter and told the clerk he needed money. When the clerk did not immediately respond, the man pulled up his hoodie to show the clerk a gun in his waistband. The man fled with an unknown amount of money. Anyone with information on the case is asked to call Investigator K. Owens at (919) 560-4440, ext. 29365 or CrimeStoppers at (919) 683-1200. CrimeStoppers pays cash rewards for information leading to arrests in felony cases and callers never have to identify themselves.